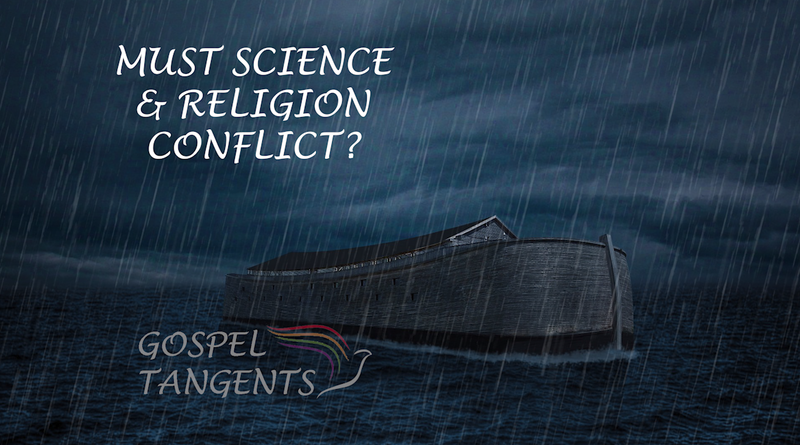 Must science and religion conflict? In our final conversation with Ben Spackman, he will compare two events that require a lot of faith to believe: Noah’s Flood and the resurrection of Jesus. What can we learn from science and religion on these two stories? Ben: When it comes to the flood, what kind of evidence would a global flood that covered all the mountains to, I don’t remember 30 cubits deep, so we’re talking 30 cubits over the top of the Himalayas for at least 40 days. What kind of evidence should that leave in the historical record? Absolute masses of evidence everywhere should be in the historical record across dozens of disciplines and it’s simply not there. That again, is one area where I say, well, what does contextual reading actually get us with the flood? What is the flood actually trying to teach? Is it a historical event and that’s the important thing? Or is it doing something different? And like Genesis, I think it’s doing something quite different, but that’s another book. So what can science tell us about scripture? Some things, not everything, and it depends on the question. Generalizing is dangerous and being simplistic is dangerous because things are rarely simplistic, which is a generalization. We also talk about some of our most favorite scientists, and their relationship to religion. Ben: Newton comes up with calculus and the laws of motion and all this stuff. What you’re not told is that Newton was doing this as a way to study God. What you’re not told is that Newton, who was somewhat unorthodox was still deeply religious and of the roughly 5 million words of his that we have preserved, 60-70 percent of that is interpreting the Bible, writing about the Tabernacle, trying to figure out the Old Testament timeline. These people who we think we’re doing science, not religion, they thought they were doing religion. So we have to be careful as we look back in time at these people, at religion and science in the past. [If you] think about Galileo’s story as theology crushing science, it doesn’t matter who you read, they’ll tell you it’s a lot more complicated than that. Galileo, for example, was not a very subtle guy. He was friends with the pope and he put the pope’s argument in the mouth of one of his characters named Idiot. That’s not going to go over very well. Is Noah’s flood about science, or faith? Don’t forget to check out our previous conversations with Ben! 248: Did Pres. McKay Support Evolution? 247: What is a Literal Reading of Genesis? 245: Does the Bible Supports a Flat Earth? 244: Did Man Evolve From Apes? 243: Did Joseph Fielding Smith Win the Evolution Battle? 242: Evolution & Bible: Irreconcilable Differences? Did Pres. McKay Support Evolution? President McKay was an educator before he was called to be an apostle and future church president. Was he more open to evolution than other LDS leaders? Ben Spackman will answer that question. Ben: When people bring up Mormon Doctrine, or Man, His Origin and Destiny, I tend to point to President McKay because President McKay on several occasions was very friendly to evolution….Then in 1965, in general conference, David O. McKay quotes him on that point. Now he doesn’t read him at all, but he says, “Here’s a scientist I’ve been reading who talks about a man’s conscience.” So, if you follow that thread, if you get below the tip of that iceberg, that’s a very pro-evolution interpretation of Genesis. David O. McKay clearly doesn’t think that Genesis in any way prohibits evolution. … There was an article that was published in the official Church magazine by a BYU (I think) botany professor, someone who dealt with DNA and other things….This article as it was printed in the Church magazine, has a little black box at the front that says, “This article was read and approved by the editor of the magazine.” If you flip back to the front, the editor is President David O. McKay. Now we have data from his son who was on one of the church committees or something. This article got taken to President McKay by his son to say, “We’re going to run this. Do you want to read it first?” He read the whole thing word for word and said, “This is fantastic work. Run it. I want this box in front.” The box also said, “It is not presented as a position of church doctrine.” So, David O. McKay was very comfortable saying, “Here’s evolution. We’re going to put this in the Church magazine. We’re going to respond to these questions. We’re going to address Genesis. I don’t want to impose it on people as some kind of official doctrine, because it’s not.” But, he was certainly enthusiastic about it. Pres. 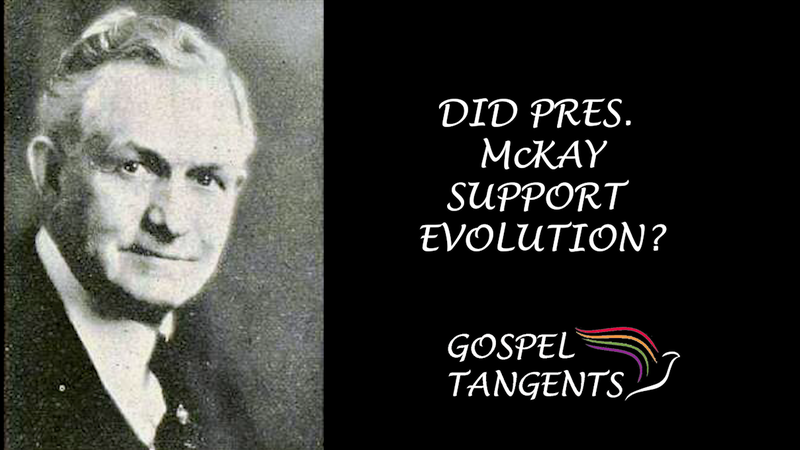 McKay may have been the prophet most supportive of evolution. Check out our previous conversations with Ben! 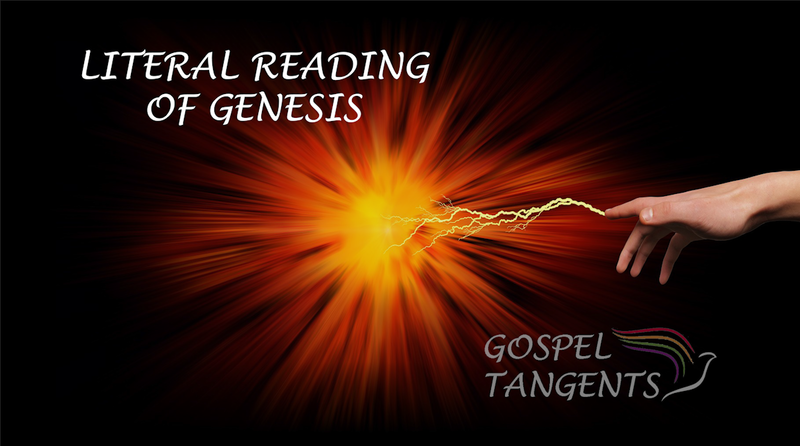 Many fundamentalist Christians insist on a literal reading of Genesis. Ben Spackman says that the meaning of the word “literal” has literally changed over the centuries! Ben: The idea of a literal reading goes way, way back to Augustine, actually. He wrote a two-volume commentary on Genesis that he called a literal commentary….When he says, “I want a literal [interpretation].” What he is saying is, “I want to read this according to the author’s intent. What did the author intend this to be?” Augustine’s already a thousand years removed from this Babylonian context. Ben: He has no way of providing an actual, literal interpretation because he can’t get into the mind of the author. He doesn’t have access to the Babylonian material. He doesn’t have access to any of that stuff. A literal reading, and you can find this in the Catholic catechism as well–a literally reading is a reading that gets at what the author intended. It’s a deeply contextual reading. It requires some expertise. It means reading poetry as poetry, reading fiction as fiction, reading history as history. It doesn’t mean a surface reading without context. It doesn’t mean a scientific reading. It means reading according to the authors intent. So, if I have a poem and I try to read that poem as history, that’s not a literal reading. If I have a history that I try to read as metaphor, that’s not a literal reading. If I have a non-natural philosophy creation account, but I try to read as scientific history, that’s not a literal reading. That’s a misreading. He also talks about religious populism. What is that, and how does it relate to a literal reading? Ben: our modern idea of literal reading–that I can read it, I can understand it, I don’t need a priest or a pastor, an academic to tell me what it means. It’s part of the populist 19th century, anti-clerical stuff that carries over. It’s not helpful to us. The idea that person “A” reading in English 3000 years removed from these things with no context will understand it the way the author intended, the way the first people heard it is implausible, let’s say kindly. So how does this fit into LDS history? Joseph Smith had two competing instincts. On the one hand, he was very populist. That’s evident in a couple of places. On the other hand, he studied Hebrew. He did a tiny bit of Greek. He did a little German. He gets asked once, how do you interpret this? And he says, “Well, read it in context.” This is how I would paraphrase. He says, “Well, look at the question, how do you interpret this parable? Look at the question that drew it out, look to context to interpret and understand.” The impulse to context, to Hebrew, to all that kind of thing, I think that kind of died with Joseph Smith. The populism continued. There’s a lot of distrust of experts, of academics, especially academics who have things to say about the Bible, right? Many Christians support a literal reading of Genesis. But did you know the meaning of “literal” has literally changed over the centuries? Don’t miss out on our other conversations with Ben! 246: Misreading Genesis 245: Does the Bible Supports a Flat Earth?